In the modern world many of us can afford to be mobile, so a lot of people choose to travel whenever they can. For instance, some of us leave home every winter to go to one of the southern states and spend cold months there. Such people are called ‘snowbirds’, and they move every winter to go back home when the spring comes. Moving across the country is always a big job, even if you are leaving only for a few months. To conveniently move your vehicle state to state, you can use snowbird transport services. With Philadelphia Car Transport you can ship any vehicle to any US state. Our team is always happy to help snowbirds move across the country. Using our services, you do not have to drive across the country just to take your vehicle with you – we can simply ship it to you! It will not only save you money and time but allow you to avoid adding extra miles on your vehicle, as well as tear and wear. Planning to move a trailer? You do not have to haul it yourself! Philadelphia Car Transport can do it for you safely and affordably. We can also ship your RV, so you can grab your plane tickets and travel safely while we are transporting your vehicle. Our team is here for you, no matter what kind of vehicle you need to move. We will work around your schedule and make sure the delivery is convenient for you. 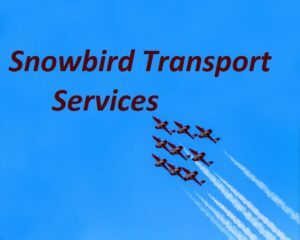 We have some of the best prices for Philadelphia snowbird transport services. Do not wait to contact us for free quotes and get a special discount! Call us at our office or request a quote online on our website. Philadelphia Car Transport will be happy to ship for you.